Welcome back to blogmas day 12! As you can probably tell by the title today i thought it would be fun to talk fleas….Or what prevents our furry little friends from getting bugs! 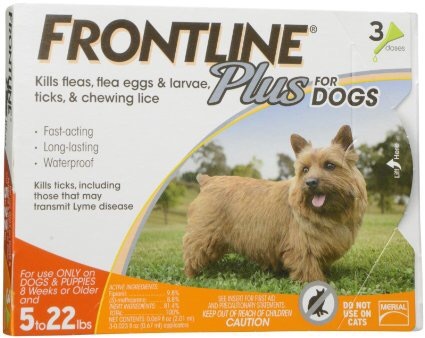 Now As you can tell from the title, I use Frontline Plus for dogs. Its says it kills fleas, flea eggs and larvae, ticks and chewing lice. 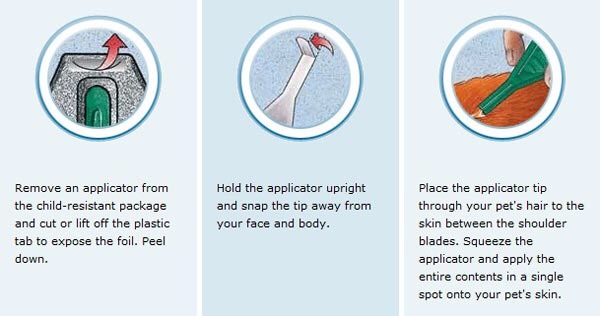 Its fast acting, long lasting, and water proof. Kills ticks, including those that may transmit lyme disease. Its only for Dogs and puppies 8 weeks or older and 5-22 pounds. I started using this brand because of my mom. She used it on her yorkie Lil Bear who lived 15 1/2 years bug free. So when i got my two littles i wanted to use the same one. My pups are three years old and never had bugs (knock on wood) and never had a reaction to this. When you apply frontline to your pups, you open up the applicator and apply it to the skin in-between the shoulder blades. I like to apply it every month to prevent any little unwanted guests from catching a ride. 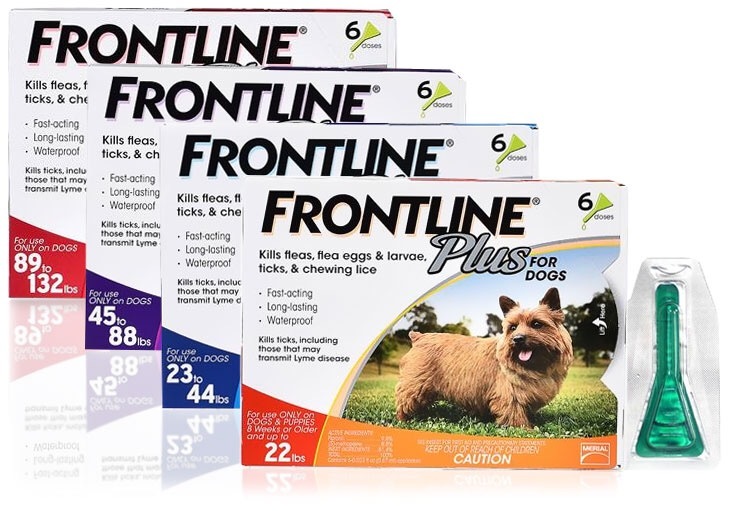 Frontline is definitely a brand that i trust and will continue to use throughout my pups lives. This is also a brand i suggest to other dog owners because its really the only brand i know and it works the best for us. My question is what do you use to keep the bugs away and how did you come across it?